A concussion happens when your head id injured due to a physical blow. When you suffer from concussions, it is important to seek for expert medical attention and professional care from the doctors. Combined with medical treatments, natural home remedies and effective techniques on how to treat concussion pain at home will alleviate the headache and pain. Moreover, natural cures also help to heal the damage in the blood vessels and head. However, it is recommended a patient with concussion should receive the maximum medical care from the doctors in order for concussion to be healed effectively and completely. If not treated, this disease will easily lead to some serious complications and consequences as well as irreversible damage. Therefore, you need to see a doctor immediately if you experience some signs and symptoms of a concussion. Natural cures will boost the recovery process. A concussion is a traumatic brain damage. This damage will change or deteriorate your brain functions. The patients with concussion have the difficulty in memory, concentration, coordination and balance. It is said that concussions result from a blow to your head and violently shaken upper body. The blow to your head and upper body will make your brain slide forth and back violently and forcefully against the skull. Some brain injuries can lead to bleeding which is deadly. Therefore, anybody who have ]a brain injury need to check and monitor carefully.These injuries can lead to a loss of consciousness; however, patients with concussion do not experience. As a result, people do not realize that they are experiencing a concussion. Everyone can be affected by concussions but the people who play a contact sport like football have the more risk. This injury requires time and proper rest to be cured effectively and completely. Fortunately, most concussions are mild; therefore, you can treat it fully. It is important to know the signs and symptoms of this disease in order to get treatment soon before it gets worse. Beside some problems that I mentioned, other symptoms of concussion include headache, confusion, amnesia, dizziness, vomiting, ringing in the ears, slurred speech, and fatigue. Symptoms may get worse over time if you do not treat concussions immediately. Patients need medical attention to recover but it should be combined with natural cures on how to treat concussion pain at home. 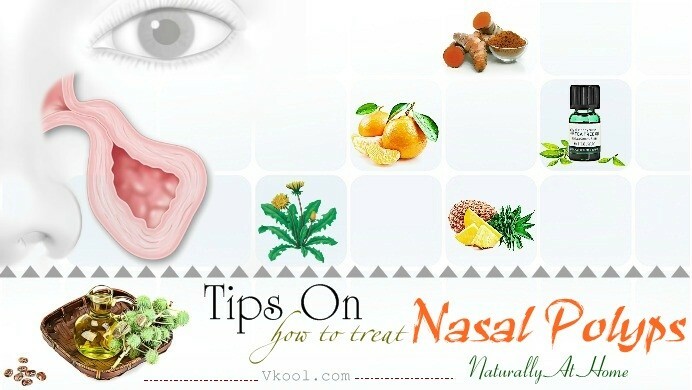 If you concern about the natural home remedies and effective techniques, please read this article on vkool.com. To boost the recovery process, the first tip on how to treat concussion pain is eating foods which are rich in antioxidants. It is recommended consuming green leafy vegetables and fresh fruits as much as you can in order to get the noticeable results. The possible reason may be that the green vegetables will provide you a lot of nutrients such as calcium and folic acid which are necessary for the healing process. Moreover, citric fruits such as oranges and tangerines contain minerals, vitamins and antioxidants. These nutrients will heal the damage in your head and your blood vessels. Citric fruits have the great source of vitamin C which helps you to reduce the oxidative stress due to a concussion. Many studies have found out that consuming the nutrients such as magnesium, potassium and calcium will make vitamin C to be absorbed easily into your body. Therefore, you should drink these juices for beneficial results. If someone get concussions, they take adequate rest and try not to move the head suddenly. However, you should not let the patients lose consciousness and it needs to make sure that he or she is alert and bright after waking up. As the way on how to treat concussion, you should let the patients with concussion receive the rest and avoid any further physical impact on their head. It is said that rest plays the important role in recovery in which the brain damage can be repaired. By relaxing and resting, the person who gets diagnosed with concussion will be able to recover faster. If you suffer from concussion, extreme temperatures may make the symptoms get worse. Therefore, you should avoid getting exposed to extreme temperatures as the way on how to treat concussion at home. If the swelling and inflammation are severe, you can apply the ice packs on the affected areas. The low temperatures will help you to stop further inflammation in your brain. Moreover, wearing loose clothes is better for patients with concussion than wearing tight clothes. When the weather is too hot or cold, make sure that you have suitable and enough clothing. This way will prevent further complications and consequences. If you want to look for the way on how to treat concussion pain, staying hydration is important tip you should not ignore. Fluids will help you to restore the balance in your body and boost the healing process during concussion treatment. Depending on the gender, height, and weight, you can know how much water you should drink. For example, it is recommended drinking at least one ounce of water for every 2 kilograms of your body weight. Water will keep the dehydration at bay and ensure your stable body temperature. You can use turmeric in your diet as the effective techniques on how to treat concussion fast. You should add turmeric powder into boiling water or hot drink and drink this solution daily in order to achieve the best results. Alternatively, you can create turmeric paste and add it in your dishes. Turmeric is often used in India as the effective remedy for many ailments and problems because of its curative properties. Turmeric can help you to reduce the pain and swelling; therefore, it is effective in soothing concussions. The possible reason may be that turmeric has curcumin, a substance which has anti-inflammatory properties. Another way on how to treat turmeric is applying the turmeric paste directly on your head. This way will alleviate the headache and pain of concussions. Because fish oil has the great source of Omega 3 essential fatty acids that are needed to heal the brain damage and help you to recover from the concussion faster. Omega3s are available in the fish such as tuna, sardine, smelt, mackerel, and anchovies. It is better to eat these fishes with a pat of butter or a slice of lemon. Moreover, Omega3s are effective in preventing memory loss and headache caused by a concussion. It is recommended eating 4 to 5 grams of fish oil when you have concussion attack. Consuming this amount of fish oil regularly or at least once a week will help you to get beneficial results. It is said that Chinese Skullcap tea is effective in treating headache and pain in the patients of concussion. Therefore it is considered as the effective home remedy on how to treat concussion at home. Chinese Skullcap boosts the blood flow and circulation. Moreover, it provides your brain enough nutrients to make sure that you recover faster. If you want to look for more noticeable results, you should combine the tea with other treatments such as Oats, and Cayenne Pepper and St. John’s wort. It will speed up the healing process. As we know blueberrry is effective in treating digestive system problems such as constipation, nausea, vomiting, so on. But interestingly, blueberry is the herb that helps you to strengthen the blood vessels in your brain. Ingesting blueberry is effective because it contains flavonoid antioxidants. Blueberry will resolve the damage in the head caused by concussions. Alternatively, you can make blueberry tea by adding dried or fresh berries into boiling water and let it cool for 15 to 20 minutes. For more noticeable result, Stevia leaves and honey can be added into this tea in order to get better recovery. Arnica Montana is the effective home remedy for concussions. It is also safe to be used. In order to try this treatment, you should soak Arnica in the alcohol. However, it is important for you to ask the doctor before getting treatment. These are 9 effective home remedies on how to treat concussion pain at home. I hope that you will find these tips helpful and effective. If you have any questions to ask, please raise your voice by leaving your comments below. I will answer as soon as I can.